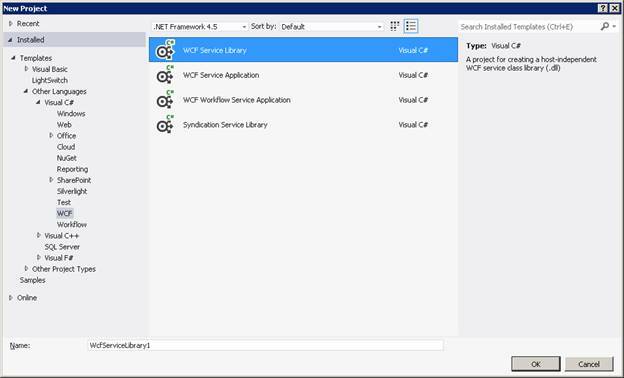 In this blog, I will be creating a WCF service application project. If you want to read WCF from the beginning, please read my earlier blog. 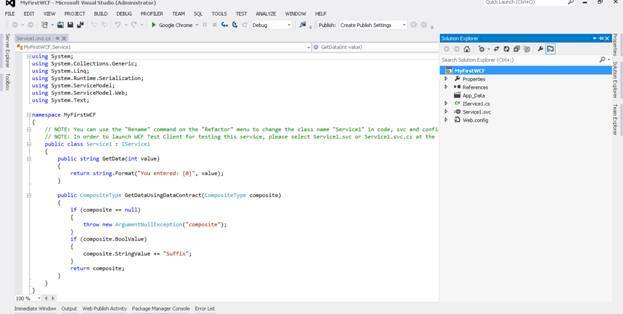 To create a WCF project open Visual Studio 2012 and select File->New Project. In above screen, you can see 4 types of WCF project can be created. But there is confusion between WCF Service Library and WCF Service Application. You may find the difference between these 2. A project for creating a host-independent WCF service class library (.dll). 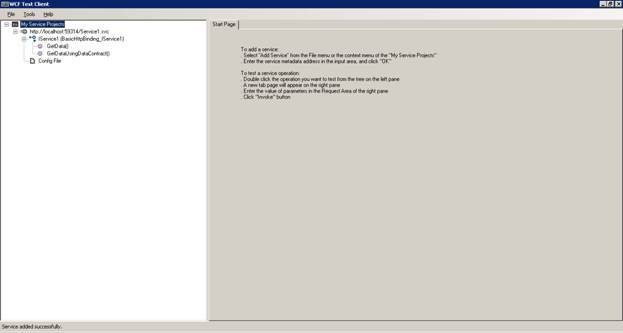 A project for creating WCF service application that is hosted in IIS/WAS. Once you choose WCF service application, an svc file automatically added to your project solution but not in WCF service library. 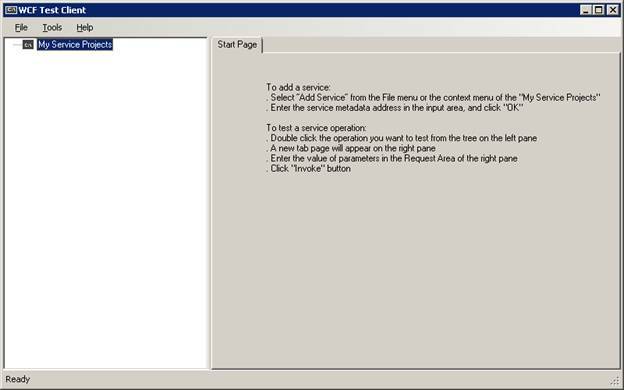 So let’s start our first program in WCF by choosing WCF service application as I will be creating IIS hosted service. To test WCF service you may use WCFTESTCLIENT. Right click on “My Service Project” and select Add service, below box will appear. Type your service URL and press ok.
To test your operation click on the name of operation from left side area. Then provide input/parameters in right side area and click on Invoke to see the output. 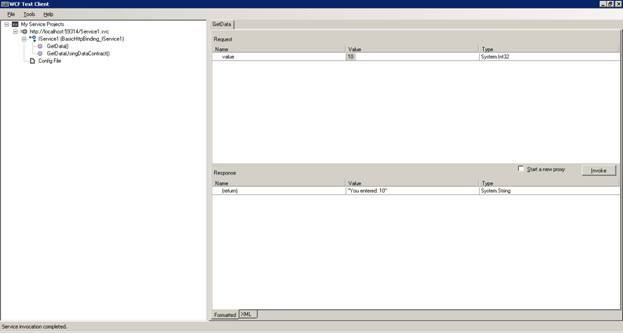 SVCUTIL.EXE: As per Microsoft statement, SVCUTIL is a Service Model Metadata Utility Tool. It is used to generate the proxy class. To run above command you need Visual Studio Command Prompt. Once you generate the proxy and config files, you may check these files at given location. And Proxy class will expose all variables operations which were mentioned in WCF application. In next blog, I will write about proxy class and how to use them. Thank you for posting wcf related content. WCF content posted is very helpful for freshers. Post more for a developer having more than 3 yrs. of exp.